Two people die while others injured early this morning along Nairobi - Mombasa road after a bus belonging to Mash East Africa involves on a head-on with a lorry. 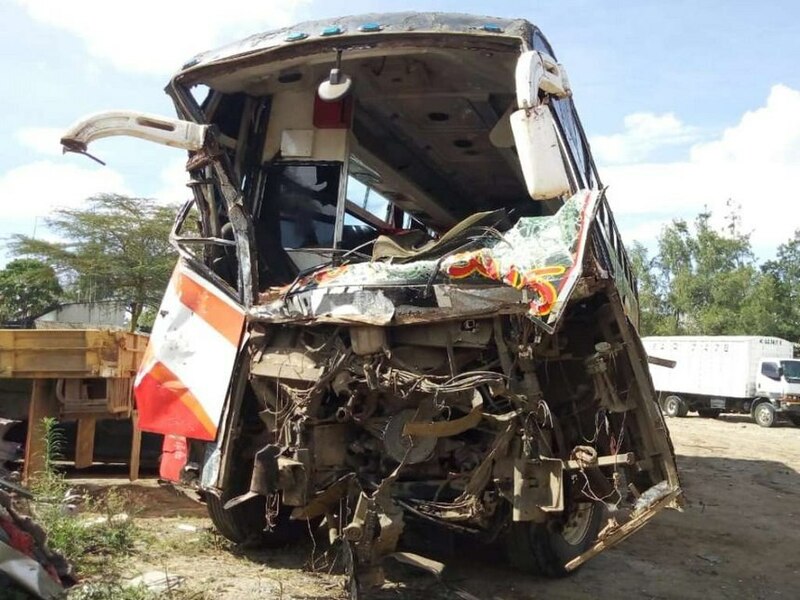 The bus was heading to Nairobi from Mombasa before accident occurred. Police blame the driver of the lorry for causing the crash due to careless driving. Those injured were rushed to Shalom Community Hospital and Machakos Level 5 for treatment.